French contemporary artist, Bernard Rene Guillot, was born and raised in Avignon, France. There he studied Architecture at the Academy of Fine Arts. He moved to Paris where he worked in the fashion industry for major design houses such as Guy Laroche, Dior, and Paco Rabanne. Guillot has traveled extensively throughout his career and has absorbed inspiration from the far corners of the globe. A true Renaissance man, he’s also dabbled in music criticism for Opera International Magazine, designed interiors for Italian showrooms, private homes, and also, design inspiration for lines of handmade luxury goods. Painting has emerged as Guillot’s most passionate form of expression. His methodology is a combination of serendipity and personal visions reminiscent of his global travel and universal experiences. Guillot starts with a basic concept, and allows that concept to organically multiply and widen across a canvas, creating walls of space that envelop the viewer in an intimate personal reality. Guillot blurs the lines of the tangible world with his bold brush strokes and metamorphosing colors to create a balanced symbiosis where the real and the surreal can exist in perfect harmony. His paintings are an experiential and distinct moment in time. Guillot notes the actual time and dates that his paintings are produced and fully realized on each piece, elevating each piece to an irreproducible vessel of material, vision and energy. 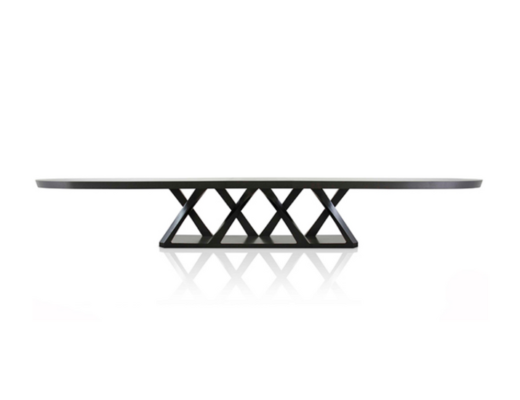 Adolfo Abejón is an internationally acclaimed furniture designer based in Barcelona. His design concept merges humble aesthetics and quality philosophy; the conscious essence of the materials he uses, and the comprehension of their honesty. Abejón believes that calmness and purity are two concepts that can peacefully coexist with their environment, and these fundamental principles are reflected in his design. Abejón’s pieces are completely handmade in limited short series and Abejón is a firm believer in small production. Creating his designs in small, limited batches ensures that work is produced with respect for the local craft and that his creations highlight the communication between every aspect involved in producing the finished product. It also encourages a collaborative mentality throughout the process of production. Abejón’s sculptural furniture is crafted from diverse and unique materials such as Marquina marble rock extracted from North Spain, cast bronze, iron, and sheepskin. You can view more of his designs here. Left: Trapped And Seeming Like A Distant Candle Consumed By A Dark Room. Was There…, 2016. Bronze, foil, and stainless steel. Right: Kyanaite, 2016. Lacquer, paint, stainless steel, and wood. Polish American sculptor, illustrator and designer Karolina Maszkiewicz is a Los Angeles transplant that was born and raised in Torun, Poland. She started her career in the fashion industry after to moving to LA to study design, and worked for several major fashion brands and opened her own well-loved retail store in Laurel Canyon. After joining the studio of an American artist based in Malibu, Karolina transitioned into sculpture and began to develop her own body of work. Karolina’s sculpture work is extremely diverse and ranges from large floral installations to kinetic sculptures. Karolina’s work pays homage to 20th century female artists such as Niki de Saint Phalle, Gego, and Eva Hesse, and also brings issues such as the current extreme drought in her adopted hometown of Los Angeles to light. 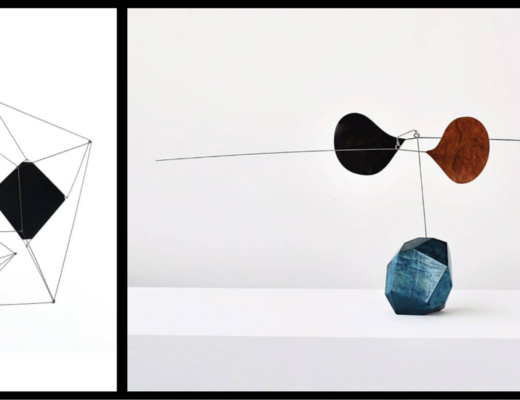 Karolina’s Diving Rod sculptures such as “Kyanaite”, featured above, were created with the intent to serve as energy surveyors that act as a conduit for desire between object and viewer. The viewer’s energy moves the rod towards what he or she instinctively needs; be it love, affection, or inspiration. Her hanging mobile featured above, “Trapped…”, is a delicately balanced amalgamation of bronze, foil, and stainless steel. It’s extremely lightweight and reacts sensitively to environmental movement. Karolina’s sculpture work has recently begun to show in galleries across the U.S., and is currently available for sale on 1st Dibs. We can’t wait to see how her work progresses and transforms, and would love to incorporate her work into one of our client’s interiors! 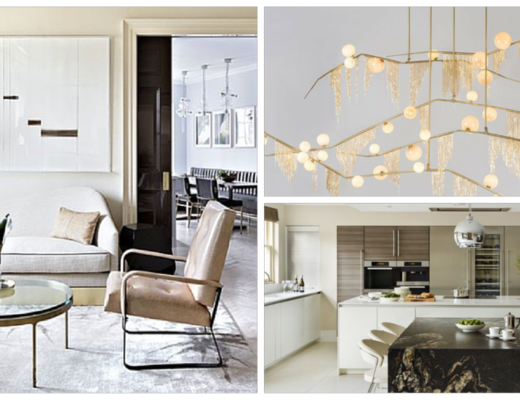 Since 2009, Nicole Smith Interiors has established itself as a highly sought-after interior design studio specializing in distinctive and luxurious residential interiors. Interior Designer Nicole Smith has an impressive breadth of knowledge and experience throughout all aspects of the building process, working with high end custom home builders and architects who specialize in custom home building projects ranging from $3 Million to $30 Million. 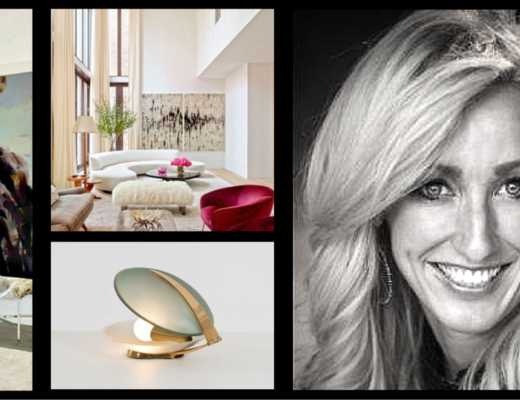 Nicole leads her team to create artistic, sophisticated and unique living spaces that align with her client’s lifestyle. The spaces she designs also reflect her client’s personal aesthetic. Nicole prides herself on her studio’s ability to capture a vision for clients, which is then expressed and explored through the design process. Nicole and her team work to refine these interior living spaces to her client’s utmost delight and satisfaction. 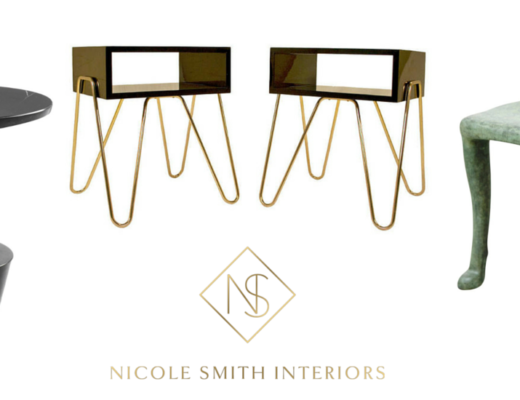 The Nicole Smith Interiors design team is also known for professionalism and attention to detail while working with other building and industry trade professionals. This winning combination of artistry and professional experience has set Nicole Smith Interiors apart as an industry leader in the building and interior design industry. Nicole Smith, Head of Design, has over 20 years of experience as a lifestyle designer with a diverse portfolio of projects ranging from beach homes, penthouses, wineries in Santa Barbara, custom built luxury homes, swanky bachelor pads, private jets, and casually elegant family living spaces. Nicole showed tremendous promise as a designer from an early age. After being recruited from Interior Design School, she was offered a position at one of the most reputable interior design firms in the country. Within six years of beginning her career, she won three MAME (Marketing and Merchandising Excellence) awards for model home interior design and became a recognized expert in the industry for designing and delivering excellent interior design for a diverse set of demographics and socio-economic groups. 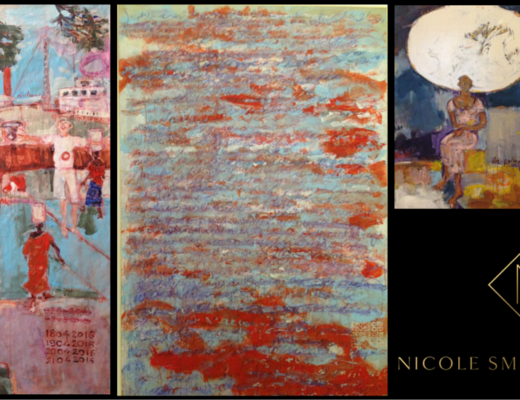 Nicole’s next venture was with a leading high-end design firm in Corona Del Mar, CA as a Senior Designer, where she gained experience in working with an affluent and sophisticated clientele and established herself as a leading designer in Southern California.